Now, entrepreneurs across the North are also gazing skyward as they consider the advantages that space – and satellites in particular – could bring to their businesses. Data from satellites has the potential to revolutionise a broad range of sectors, from ploughing a field on a farm to erecting wind turbines out at sea. At the heart of evangelising about the opportunities that can space offer is James Slaughter, who has the rather intriguing job title of “solutions architect” at the Scottish Centre of Excellence in Satellite Applications (SoXSA). Although SoXSA is based in Glasgow, Mr Slaughter is embedded within Highlands & Islands Enterprise (HIE) in Inverness, covering the whole of the economic development agency’s patch from Argyll to the Northern Isles. Mr Slaughter has previous form when it comes to space. He studied astrophysics at university before joining the Royal Artillery and serving in Afghanistan, Libya and Northern Ireland. After hanging up his boots in 2012, he joined the Satellite Applications Catapult, one of the bodies set up by Conservative-Liberal Democrat coalition government at Westminster to help businesses to adopt the very latest technology to give them a global edge. SoXSA is the catapult’s delivery partner north of the Border, making it a natural switch for Slaughter, whose family hails from Ross-shire. “I’m looking at how businesses in a range of sectors can use satellite data, including energy, food and drink, life sciences and tourism, which are all HIE growth sectors,” Mr Slaughter explains. “All of those sectors stand to benefit from space data. “When it comes to food and drink, aquaculture could be a big beneficiary. Most fish farms are off the West Coast and around the islands, where the weather is unpredictable and not a huge amount is known about wave heights. Mr Slaughter thinks that the aquaculture sector could also save cash by using satellites for remote monitoring. At present, fish farm operators need to dispatch staff in boats to monitor equipment, but fitting detectors and then transmitting information via communications satellite could be used instead to beam data back to shore. “The opportunities in the energy industry are vast,” he continues. “When it comes to decommissioning in the oil and gas sector, detectors and communications satellites can again be used for remote monitoring. Data on wave heights is not only applicable to the aquaculture industry but could also prove invaluable when developers are considering where to install their renewable energy devices, he points out. Remote monitoring of offshore installations is also another factor. Mr Slaughter highlights the growth of the life sciences sector in the North of Scotland. “I’ve been working with colleagues from HIE and NHS Highland on the transferring of data from patients in remote and rural locations to medics in hospitals,” he explains. “For example, patients sometimes have to travel for hours to Raigmore hospital in Inverness for a check-up. Instead, you could have a healthcare professional visit a patient in their home and then link to a specialist in the hospital via a video link. Perhaps the most creative use of space data could come in the tourism industry. Mr Slaughter uses the example of the North Coast 500, the long-distance driving route billed as “Scotland’s answer to Route 66”, which loops from Inverness across to Wester Ross then up through Sutherland and Caithness before coming back via Easter Ross and the Black Isle. “There’s fairly decent connectivity in some areas and then virtually no connectivity in others, with no fourth-generation (4G) or even third generation (3G) mobile phone signals,” he explains. “There’s an opportunity to build ‘hot-spots’ along the road, which would provide mobile phone and internet connections. The Timespan museum and arts centre at Helmsdale in Sutherland already has a VR model showing how the Kildonan township would have appeared 200 years ago. Its model was created by the University of St Andrews, which was introduced to the museum by Interface, the public body that helps small businesses to access academic expertise to help develop products and services. Connectivity could also help to get sailors off their boats and out spending money in the communities surrounding the harbours in which they dock. “A lot of marine tourists don’t venture off their boats because they don’t know what’s available locally – and it turns out sailors don’t like to walk to find out,” Mr Slaughter adds. Mr Slaughter estimates that there are around two dozen companies in the North of Scotland that are already using satellite data or are providing products and services as part of the country’s fledgling space industry. His job now is to grow that number. One business that’s already embraced the space race is Morton Manufacturing, based at Aylesbury in Buckinghamshire. The company has developed the Omni Hub, a communications device that can latch onto satellite signals, mobile phone networks or even wireless broadband connections in order to transmit data from rural locations. The device has been used in demonstration projects to improve the treatment of people with diabetes and stroke patients in the Highlands. Chairman Peter Morton has setup Tactical Wireless to manufacture the Omni Hub and has based the company in Forres, where he hopes to open a factory once orders are received from health boards in the North of Scotland. Mr Morton was one of the speakers at “Data.Space 2017”, a conference held in Glasgow earlier this month. Casting an eye down the guest list for the event reveals the extent to which Scotland’s space sector is growing. Clyde Space, the Glasgow-based nano-satellite builder, was there, along with Spire, the San Francisco-based satellite data company that also builds miniature satellites in Glasgow. 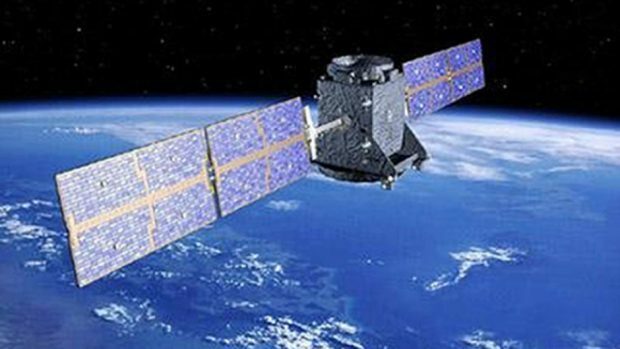 As well as the hardware players, the conference attracted many of the businesses that are already utilising satellite data to provide services. Ecometrica, which is based in Edinburgh, and Astrosat, which has its office further down the road in Musselburgh, both use information from space to help their clients carry out a broad range of activities, from monitoring deforestation to the recovery efforts that follow on from natural disasters. Another participant at the event was Andrew Macdonald, senior innovation manager at the Offshore Renewable Energy Catapult (OREC) in Glasgow. OREC has been working with SoXSA – less than two minutes down the road on George Street – to help the renewables industry use more space data. “I was really there as an end-user to say to the space sector that offshore renewables is now a fast-growing established sector in the UK and Europe,” he explains. “We’re keen to drive our costs down even further and, as part of that, we’re looking at ways that space technologies can provide data. “There are three main ways that the space sector can help us: It can provide images from space and large spatial coverage, which is cheaper than putting meteorological masts out at sea or using floating light detection and ranging (Lidar) to measure wind speeds. It can also provide communications, which are particularly importance during the installation of wind turbines or during the operation of wave buoys.